Did you know that many dogs appear excited when they are actually feeling stressed? 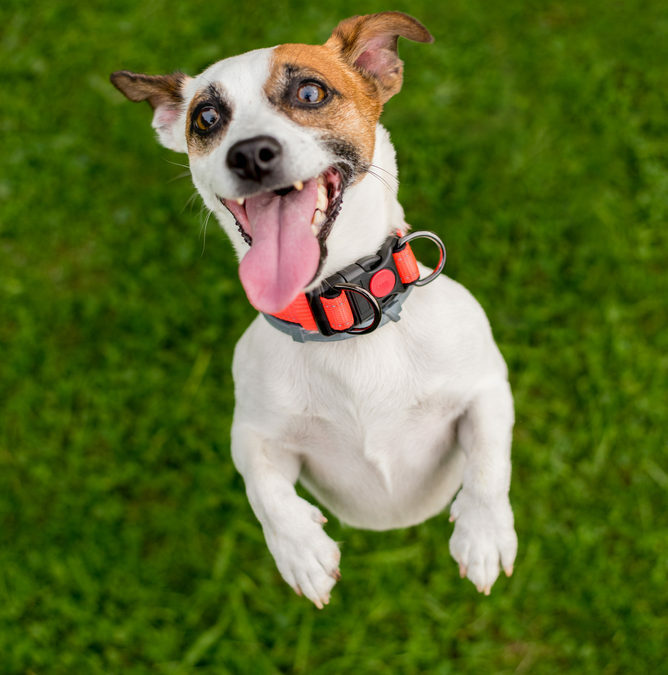 Like many other owners, you may be very surprised to learn that what you thought was happy behaviour is in fact your dog feeling overwhelmed or anxious! As owners, one of our responsibilities is to help our dogs achieve and maintain a calm, balanced mindset. This is the natural state they are born into and in the natural world, this balanced mental state is vital for survival and fulfilment. In my opinion it is important to understand the difference and how to recognise when to step in and give support. Often we are the ones to send our dogs into this heightened state, by adopting an intense energy ourselves, which tells our dogs to copy us and that whatever is about to happen is a big deal! Obvious examples are when we come home, when someone comes to the door, or when we arrive at the dog park – thinking that we are just adding to the happiness when our dogs mentally and physically react to our stimulus. This emotional lead up from us sends many dogs into overload (in extreme cases we see a flight/fight response) in an attempt to match our own energy and prepare themselves for the big event we have told them is about to happen. Many owners also unknowingly put their dogs in situations which overwhelm them and they cope by putting on a ‘performance’ in an attempt to convince everyone that they aren’t as weak or out of control as they feel. Weak, insecure or very sensitive dogs are most often in this category and often misread as confident or even aggressive simply because they were overwhelmed and trying to cope. I hear regularly “oh he loves the dog park, he goes nuts when we get there” – this may be true for many dogs but many (not all) on observation are really struggling introverts who would much rather go for a nice long relaxing walk with their owner and socialise with certain dogs one on one. Just like us, dogs can be extroverts or introverts. Not all dogs love the dog park scenario and not all love the rowdy romping energy and interaction that many seem to feel they “need”. In the same way, many dogs don’t appreciate the level of intensity we bring through the door when we get home. A calm loving hello and pat would be just fine. Again, don’t assume your dogs loves to be touched and fussed over by everyone, especially strangers. That licking or jumping up they do when someone tries to pat them may be a desperate attempt to ask for some personal space. Some dogs take this further and will growl or nip. What many of our clients find most surprising is that addressing their own behaviour and expectations as well as adjusting the environment is as crucial in these situations as addressing the dog’s behaviour. It is not simply about “training” or changing the dog. Sometimes this recognition is all it takes to take the pressure off the both of you and to allow a peaceful (yet happy) situation to replace an intense one. In other cases, things can be more layered and you may need a professional to observe, intervene and “reset” so you can then move forward with new behaviours. If you and your dog need support with this, please give us a call. 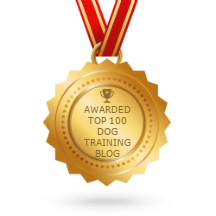 With a few simple dog training sessions we can show you how to identify when your dog needs calming support and how to address it, so you can turn stressed behaviour into calm behaviour. As a professional dog trainer myself. I found this a great read. So often I find myself training humans not dogs! Some really useful tips here.